I’ve been struggling lately on what sort of blog posts to do. I started this as a way to raise awareness about my memory loss & blackouts so I try my best to stick to the subject in all posts which can make it difficult to blog if i haven’t blacked out much! So I thought I’d give an update on the past couple of weeks. So, life recently has been pretty average tbh. As you’ll know if you read one of my recent posts – ’10 Days Black Out Free’, I was on a roll with not passing out. I went something like 12 days black out free in the end which is easily a record because it was getting to a point where I was blacking out on average at least once a week so the 12 day streak of being black out free came as a surpise! I got so excited but at the same time tried not to get my hopes up too much as I knew that a black out would be just around the corner. And it was! Boo! I worked my 10 days of early shifts and it actually went better than I thought. I was overly careful and took painkillers when I needed them instead of trying to be big boll*x and soldier on without them. I went to Thorpe Park with a group of friends and it was an amazing day. 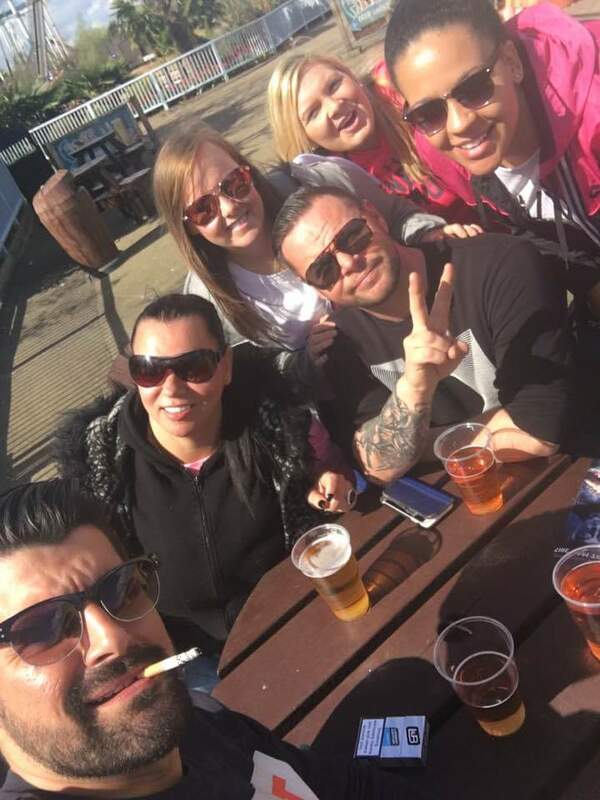 The sun was shining, I was with my other half and some great friends, we laughed til our tummies hurt and made as much noise as possible on every rollercoaster! After that weekend when my partner and I came home, we were both clearly tired and I just knew that a black out was on it’s way! I passed out on the Sunday and Monday but can’t really remember them ones. And I also passed out the Tuesday. My partner went off to work as usual and because she had the car with her she thought she would come home on her break to surprise me but clearly I had my own surprise for her! She came in and found me passed out on the bed. 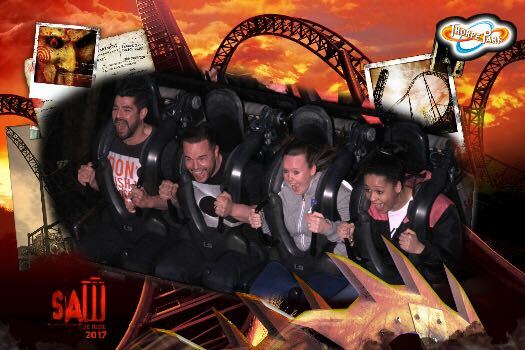 I had completely forgotten the weekend at Thorpe Park and I was gutted. I felt really low and agitated and I was supposed to go in to work to cover a shift that day but my partner had to call and inform them that I wouldn’t be able to. I think I’ve pretty much caught up with most of my memory now and I’ve been back to work. I’ve also finished reading the book that was suggested to me by the last Dr I saw at the JR. It’s called ‘It’s All In Your Head’. I was very dubious about reading this book for obvious reasons. But never the less, I’ve read it. I’m still not sure what I think about it but I have learnt a few things from it. I’m not sure if I will do a review on the book exactly but I may do a blog post on some of the things that I did learn from it. 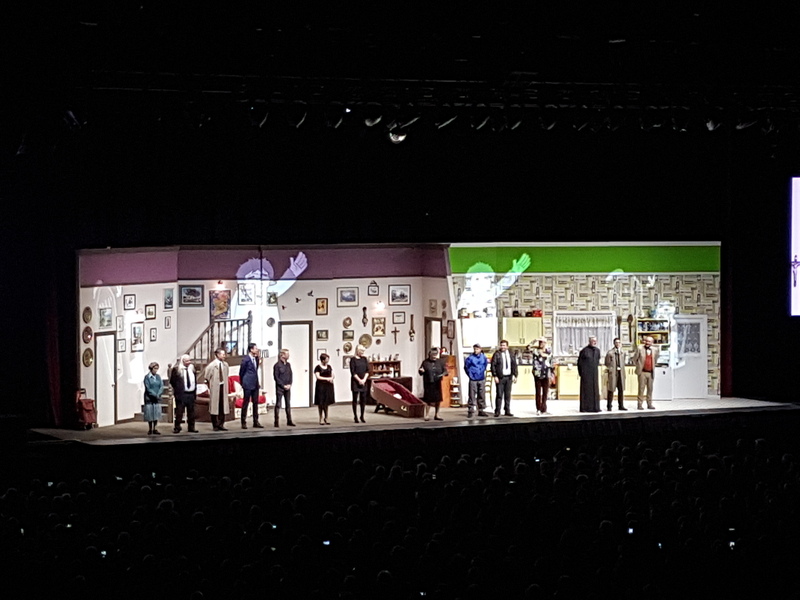 My partner and I also went to watch ‘Mrs Browns Boys’ live and if you are a fan of the programme then I would definitely suggest going to see it live! 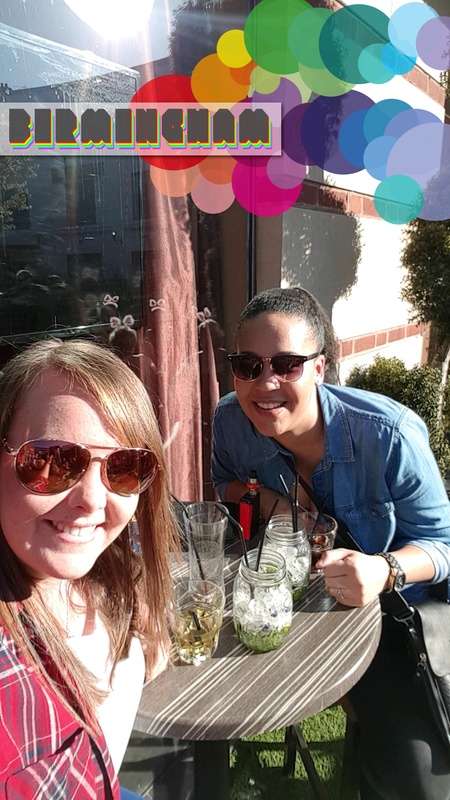 We went over to Birmingham early on the train as the sun was out so we visited a few beer gardens and sat catching some rays! The show started at 19:30 I spent pretty much the whole 3 hours of it laughing! I love it when they mess lines up or make each other laugh and just play off it and carry on like it was supposed to happen, it’s great, it really adds to the funny side of it. The only thing was that we forgot to check what time the last train back from Birmingham was and it’s safe to say that we were going to miss it if we wanted to stay and watch the whole show! BUT, luckily, my lil sis was also in Birmingham at a gig and my mum had driven her there and was taking her home so, once again, momma bear came to the rescue and we got a lift home! So, all in all, I’ve had a pretty decent couple of weeks. The weather has been nice to us, I blacked out less than usual, visited friends, went to a theme park, and went to see a live show! And if you read ‘A Bucket List For April’ you will see that this means I completed a fair few things on it already! Hehe.